Welcome to Church of the Ascension’s home on the internet. We are a growing, vibrant, traditional faith community of all ages that gathers together each week to worship God the Father, Son and Holy Spirit, in the rich spiritual tapestry of the Anglican tradition. Empowered by the love of God we endeavour to be a community that fosters a sense of hope, meaning and joy in the lives of modern people. In listening to God’s Word and partaking in the Sacraments of the Christian faith we hope to be drawn into an ever deepening relationship with our Lord Jesus Christ as we work together to build up the Kingdom of God in the world. We invite you to come and worship with us this Sunday. Air conditioned in the summer months! Join the Ascension family for the most sacred week of the Christian faith as we journey with our Lord Jesus Christ from His triumphal entry into Jerusalem to His glorious resurrection on Easter Day. Canon Lance will be leading this year's Lenten study on Tuesday evenings beginning Mar 19th. A light dinner will be served at 6pm with the study to begin at 7pm. The study is entitled "Growing a Rule of Life." and is based on the monastic discipline of instituting a daily rule of life. All are welcome. The men of the BAC will be holding their annual Good Friday Fish Fry on April 19th, from 4pm - 6pm. Perch dinner with fresh cut fries and coleslaw is available as well as pan fried Basa fish with rice or fries. Adults are $13 and Kids 10 and under are $7. Take out orders are available by calling the church office in advance. It's that time of year again when we begin planning for the Easter season here at Ascension. It's not too early to contact the church office to order your Easter Lily as a thank offering or as a memorial to those we love but see no longer. The price is the same as last year, $10. Members of the parish are invited to submit their email to the church office to be included in our parish activities email blast. 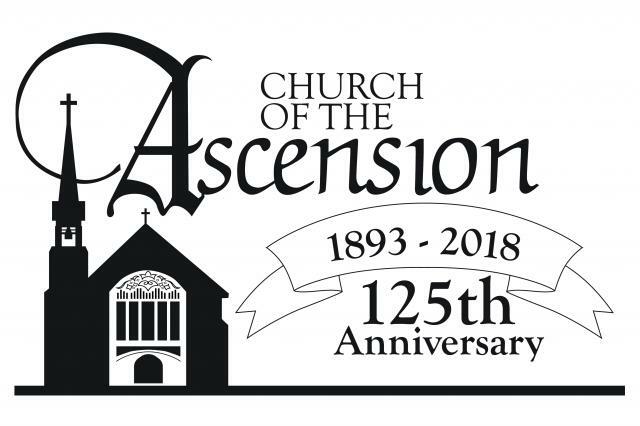 Stay up to date with everything going on at Church of the Ascension so you don't miss out! Our Centering Prayer group meets every Wed evening at 6pm. New people are always welcome. If you have any questions about this practice of prayer speak with Deacon Fred. Check out this article that appeared on CBC highlighting the new stained glass window in our prayer room. If you haven't had a chance to see it for yourself, make sure to stop in on a Sunday soon! 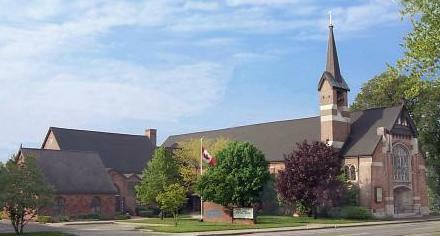 This outreach group meets on the first Saturday of each month (usually) in the parish hall at 10am. New and experienced knitters are welcome as we craft prayer shawls for those who are ill, or in need of comfort in hospital or at home. The next meeting is set for April 6th at 10am. Contact the church office or check out the announcements page of this Sunday's bulletin for more info.